*Hunter Douglas Authorized Dealer* We are a family owned and operated decorating center since 1923. We offer a large selection of in stock wallpaper, an extensive collection of wallpaper sample books, and Coronado paints by Benjamin Moore. We offer all products by HunterDouglas, the undisputed industry leader in innovative products and quality. 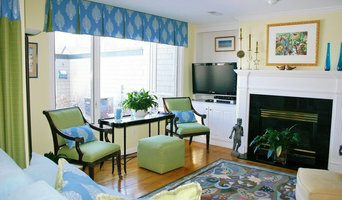 Besides hard window treatments, we also do draperies, bedding, and more from our huge library of fabric sample books. We design, measure, and install all of the window treatments we sell with our own staff. We also can provide design services for kitchens, baths, and other rooms. We offer services such as design and also project management with our team of contractors and licensed trades people. Leah can assist you with flooring, new furniture, lighting and flooring. *Hunter Douglas Authorized Dealer* Wallace is family owned and operated by Mike & Renee Lisowy, formerly of Blind Visions Custom Window Treatments. Established in 1950, Wallace continues the tradition of serving Long Island's East End communities with beautiful home interiors. We are a full service interior design showroom with a drapery and upholstery workroom on premises. Our Mission Statement At Wallace Home Design Center our mission is to provide exceptional products and craftsmanship with unwavering wholehearted service. We are setting the design standard that inspires quintessential East End living. With integrity, relevance, professionalism and gratitude we are scrupulously honest in our business dealings at all levels. We do what is right, not necessarily what is expedient. We proactively identify and incorporate innovative designs and influences while listening, understanding and respecting our client's needs so we can translate them into reality. 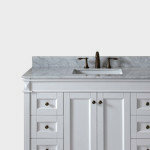 At Wallace Home Design Center we realize that people have choices and we humbly appreciate when they choose us. Southern New England Interior Design Workroom - Best of Houzz 2016/17! 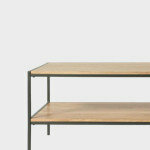 Fabrication Studio is a full spectrum drapery workroom that has been servicing the design industry since 1985. Attention to detail, a positive attitude and a willingness to think "outside of the box" has helped us develop long lasting and fulfilling relationships with the designers and clients we work with. Listening to our clients and helping them create their vision is what we do best. Our specialties include but are not limited to; draperies and drapery hardware, bedding, cushions, pillows, shades, blinds, hard and soft treatments, measuring and installation. For the client that would like a little more guidance Fabrication Studio reaches beyond the workroom and into the design aspects with window treatment renderings as well as offering assistance with color and fabric selections. With over 25 years experience in the field of interior design and decorating, Deborah started her career in her family's retail flooring and window fashions store. After graduating RISD's interior design program and realizing her passion for details and design, DeCristo Design was created. Deborah believes that good design is achievable for all and is not necessarily predicated on the size of a project's budget. Combining timeless design along with current trends, colors and style, Deborah's ability and love of helping others to discover their personal style is all vital to a project's ultimate success. Perfect Touch Interiors is located on Oaklawn Avenue in Cranston, Rhode Island. Our convenient location, extensive retail showroom and professional staff are just some of the advantages of working with us. With a wide array of designer fabrics, wall coverings, lighting fixtures, custom furniture, luxurious floor coverings and unique accessories at our fingertips, our designers can work with you to select all the perfect touches that will make your home uniquely yours. The professional staff at Perfect Touch Interiors strives to make your design experience extraordinary. For over 30 years we have been committed to providing exceptional customer service through our knowledgeable and dedicated staff. Our success has been built on our sincere desire to assist our clients in making design choices that reflect their specific needs, life style, and budget. Our expert team will help you make the right design choices throughout your project by listening to your needs. Whether you are looking to update a single room or undertaking a complete home or commercial/office makeover or renovation project, our team can help you make the right design selections. No matter how small or large, we can assist you to realize your vision. The Blind King has been family run and operated since the 1930s. We are the largest Hunter Douglas Gallery Dealer in Rhode Island. Being a Gallery Dealer has many perks, offering the signature Alustra line is one of them, but also giving the customer an opportunity to come into the store and check out the many displays we have and see what the products look like installed. That allows them to experience the many different operating systems Hunter Douglas has to offer. Also when shopping with a Hunter Douglas Gallery Dealer the customer is offered the right choice program which allows them to change out the product at a very minimal cost if they are not happy with it after installation. Which rarely ever happens because we try to make sure the customer knows everything about the product and its functions prior to installations! 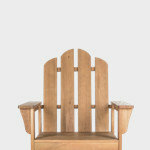 We also offer a wide array of other products. From custom-made on site spring roller shades and clutch roller shades to awnings, stationary and retractable all the way to custom soft treatments such as draperies, valances, and cornices. We are the one stop shop for window treatments inside or out. We service residential and commercial properties. - We work with many of the great designers Rhode Island has to offer and also have a designer on staff to help with your every need. The Blind King's work is showcased all over Rhode Island from downtown lofts, to condos, out to suburban areas around Lincoln, to coastal properties through Newport. There is not a job that we cannot assist you with. The Blind King has a wonderful reputation for the meticulous work it does for our customers. - Over the years we have developed a extensive commercial portfolio consisting of many educational institutes, hospitals, general contractors, property management, and commercially property owners. Welcome to Budget Blinds of Franklin and Mansfield. Our lower Norfolk and southwest Bristol County neighbors tell us how important it is to have their homes be a beautiful sanctuary in the midst of a hectic life. Helping to make that happen without stress is what we do best. We bring the store to your door with thousands of samples showing how products, fabrics and colors will look– right at the windows! Our experience and knowledge of the industry will help you find the right product that works now and for years to come. And we are your neighbors, right close by. Bruce and Deb own this local business and have a vested interest to make sure you are happy with your choice for as long as you own your window treatments. 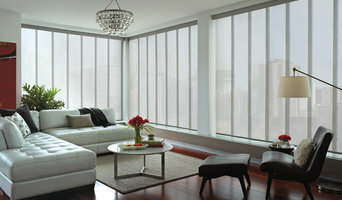 Additionally, Budget Blinds’ exclusive, No Questions Asked 1 time replacement warranties help our customers feel secure. Our family grew up walking the trails of the BioReserve Forrest, Stony Brook, and Moose Hill. Enjoying the outdoors and nature inspires most us in this area to make something special of our windows….. the transition between our homes and the outdoors that we all love so much. Budget Blinds of Franklin and Mansfield is a locally owned territory of the #1 window treatment franchise in America. We work with dozens of the best window treatment manufacturers in the industry to bring you high quality, fashion forward custom window coverings, shutters and drapery. But it is not Just about fashion, is it? Our neighbors prioritize value and practicality right alongside their fashion vision. Whatever your functional need; privacy, energy efficiency, light control, ease of use or safety, Budget Blinds of Franklin and Mansfield has a solution for your home or office to match almost any budget. 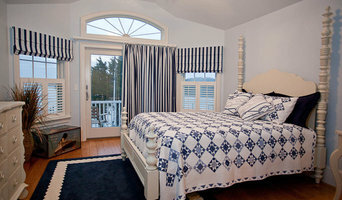 Wherever you decide to go today, walking our bountiful forests, shopping at Wrentham Outlets, taking in a concert at the Xfinity Center, a visit to Oakdale Farm, or a game at Gillette, let us help you enjoy your homecoming all the more with beautiful, custom window treatments from Budget Blinds. Call us for a FREE consultation- we cannot wait to meet you! We strive to give our customers the best experience over the past 32 years by providing high quality custom window treatments and slip covers backed by unmatched service! We emphasize quality, integrity, and professionalism. From design to installation we are there for you the whole way. *Hunter Douglas Authorized Dealer* Visit our showroom Monday 10-5 Tuesday 10-7 Wednesday 10-5 Thursday 10-5 Friday 10-5 Saturday 10-3 Sunday- Closed Kellner’s carries a complete line of window treatments from Hunter Douglas. We have many options for controlling your treatments, and are the premier Hunter Douglas Certified Motorization Specialist in Connecticut. We will help you select product that is the best fit for your window needs. We specialize in selling window treatments for both function and style. In addition to Hunter Douglas products, we also offer custom made soft treatments, ranging from simple valances and panels to elaborate swags and jabots. We also carry only the best drapery hardware for your design. 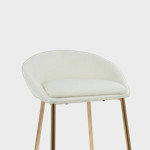 Kellner’s offers re upholstery services to refresh any old furniture that you may have. Whether it be a family heirloom, or just a refresh on an old couch bring it in a photo and we can let you know how we can help! Come visit our beautiful showroom, filled with full size working samples, many fabrics to choose from, and a very helpful staff. 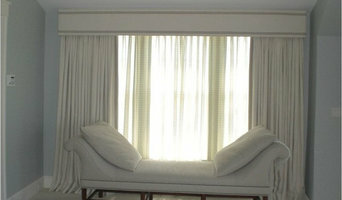 Blinds & Designs is backed by 22 years of experience in window treatment services. From blinds and shutters to shades and draperies, we have it all in different styles and colors. We have blinds for every budget. Blinds and Designs products are custom made to fit your windows and your wallet. We are an authorized Hunter Douglas Showcase dealer. Whether its shutters, shades or blinds we carry the entire line. •Serving all of Massachusetts and Rhode Island since 1995 •We sell, service, install, clean and repair everything we sell •We offer a FREE in-home consultation •We offer FREE installation Steve Murphy brings his expertise and flair for design to every project, large and small and can make your windows look spectacular no matter what kind of budget you have. Having been in this business for almost twenty years, he is extremely knowledgeable in fit, form and function. Don't waste time standing in line, let us bring the store to you! Established in 1987, Designer Glass & Shades began as a custom art glass provider serving homeowners, the professional building and design community, as well as commercial and religious institutions. Over the years, our company, in keeping with the needs of those we serve, has expanded our product line to better “Enhance the View” our clients seek to enjoy. Whether through decorative glass, solar control or designer window films, custom motorized and non motorized window treatments, our goal is, and always will be, to provide timely, quality, professional service while being committed to meeting and exceeding our customers’ expectations. I love the challenge of finding great design solutions for my unique and individual clients. I have thirty-eight years in the industry, including work as the director of design and merchandising for several well-known retailers and manufacturers. My work has been published in Boston Magazine, Better Homes & Gardens and Money Magazine, and my clients return to me again and again because of my astute eye for color and pattern. Window treatments provide the finishing touch to a well-styled room, and because they involve a combination of aesthetics and function, I have made them an important focus in my design work. When I'm not working with a client on a project, I can be found pursuing one of my other passions: gardening, community work, needlepoint, antiquing, and my wonderful little Bichons. It's our 28th anniversary and we are a Window Treatment Specialty Company providing every type of window covering one can imagine to suit the needs and decor for home and office spaces. 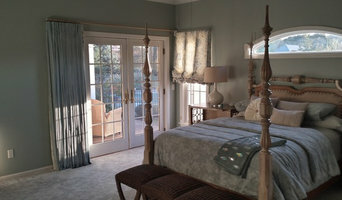 Custom made draperies, shades, shutters, blinds and more. We come to you with samples and ideas.